VANCOUVER, B.C. Western Copper and Gold Corporation (“Western” or the “Company”) (TSX: WRN; NYSE American: WRN) is pleased to provide an update on Casino Project activities. During the past few months, the Company has confirmed that the expected economic returns from its Feasibility Study are still relevant and current, received commitment from the Yukon and Federal Governments on key road infrastructure, and has continued engagement with local communities as part of its permitting efforts. In association with M3 Engineering & Technology Corp., the Company has conducted a pricing review (the “Review”) of the January 25, 2013 Casino Project Feasibility Study (the “Feasibility Study”). 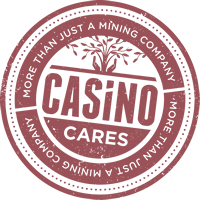 The Review indicates that the Casino Project’s economic metrics, such as internal rate of return and net present value, at current commodity prices and exchange rates are comparable to the base case metrics in the Feasibility Study. Capital and operating costs were updated as part of the analysis, including updated costs for mining and major process equipment, power plant costs, major bulk materials (e.g. structural steel), and construction and operating labour rates. There has been no change to the mineral resource or reserve estimate or to other technical information contained in the Feasibility Study. The Feasibility Study showed that the Casino Project is expected to have an after-tax net present value of $1.83 billion (8% discount rate), an after-tax internal rate of return of 20.1% and a 3.0 year pay-back period over its 22 year mine life. Commodity prices used in the Feasibility Study base case were as follows: Copper – US$3 per lb; Gold – US$1,400 per oz; Molybdenum – US$14 per lb; and Silver – US$25 per oz. The exchange rate applied to commodity prices was US$0.95 to $1.00. The full text of the Feasibility Study is available under the Company’s profile on SEDAR. As previously announced on September 5, 2017, the Yukon Government and the Federal Government have committed to fund the upgrade of the existing access road and 30% of the new access road to the Casino Project as part of the Yukon Resource Gateway Application (“Gateway”). Recent discussions with the Yukon Government indicate that work towards building these roads is underway, starting with permitting for construction of a by-pass that will allow mining-related traffic to avoid the town of Carmacks, a key mitigation measure identified by the local community. The Company has been advancing certain key permitting activities required to prepare its Environmental and Socio-Economic Statement (“ESE Statement”). A large part of the initiative has been the Best Available Tailing Technology (“BATT”) review process relating to the design of the tailings and waste management facility. In this regard, Western is following the roadmap identified by the British Columbia Government, and being contemplated by the Yukon Government, to receive and consider feedback from key stakeholders. The goal is to come to a tailings management facility design that uses the best available tailings and mine waste deposition technology and has buy-in from the community, First Nations, and regulatory authorities. Due to the timing of BATT review process and Yukon Government timelines on the permitting of the road upgrades as part of the Gateway funding, the Company has advised the Yukon Environmental and Socio-economic Assessment Board that it will delay submission of its ESE Statement to the end of 2018. Cameron Brown, P. Eng, the Company’s VP Engineering and a Qualified Person (as defined in National Instrument 43-101) has read, verified and approved the scientific and technical disclosure contained in this news release. This news release contains certain forward-looking statements concerning anticipated developments in Western’s operations in future periods. Statements that are not historical fact are “forward-looking statements” as that term is defined in the United States Private Securities Litigation Reform Act of 1995 and “forward looking information” as that term is defined in National Instrument 51-102 (“NI 51-102”) of the Canadian Securities Administrators (collectively, “forward-looking statements”). Certain forward looking information should also be considered future-oriented financial information (“FOFI”) as that term is defined in NI 51-102. The purpose of disclosing FOFI is to provide a general overview of management’s expectations regarding the anticipated results of operations and capital expenditures and readers are cautioned that FOFI may not be appropriate for other purposes. Forward-looking statements are frequently, but not always, identified by words such as “expects”, “anticipates”, “believes”, “intends”, “estimates”, “potential”, “possible” and similar expressions, or statements that events, conditions or results “will”, “may”, “could” or “should” occur or be achieved. These forward-looking statements may include, but are not limited to, statements regarding perceived merit of properties; mineral reserve and resource estimates; capital expenditures; feasibility study results (including projected economic returns, operating costs, and capital costs in connection with the Casino Project); exploration results at the Company’s property; budgets; permitting or other timelines; economic benefits from the mine and/or the access road; strategic plans; market price of precious and base metals; or other statements that are not statement of fact. The material factors or assumptions used to develop forward-looking statements include prevailing and projected market prices and foreign exchange rates, exploration estimates and results, continued availability of capital and financing, construction and operations, the Company not experiencing unforeseen delays, unexpected geological or other effects, equipment failures, permitting delays, and general economic, market or business conditions and as more specifically disclosed throughout this document, and in the AIF and Form 40-F.